Millie Dunn Veasey went to the March on Washington and was the first female president of the Raleigh-Wake NAACP. Millie Dunn Veasey talks about being a civil rights activist in Raleigh in the '60s. 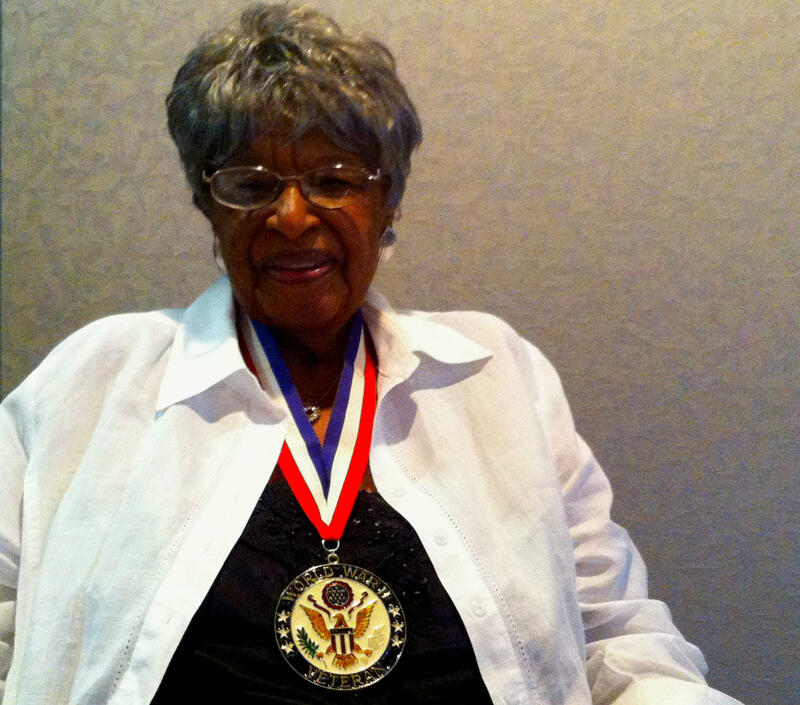 Our “August 1963” series continues today with Millie Dunn Veasey. Veasey is 95 years old—she was born in Raleigh in 1918. During World War II, she served overseas with the Women’s Army Corps. Veasey returned home to attend St. Augustine’s College, where she worked as executive secretary to President James Boyer. While there, she became active in the Raleigh civil rights movement, eventually serving as the first female president of the Raleigh-Wake NAACP. I’m Millie Dunn Veasey. I’m from Raleigh, North Carolina. On August the 28th, 1963, I was at the March on Washington. And I had a privileged seat because I was with the ministers and was right there with Dr. King. It was my privilege, you know, to be involved with the movers and shakers, I imagine, of the movement. At the time of the march, I was secretary—Raleigh-Wake Chapter of the NAACP—became president in ’65. And I was at St. Augustine’s College, working as the executive secretary for Dr. Boyer at that time. We had a group of persons on the campus—kids who wanted to be involved and so President Boyer asked me to go out to be with these youngsters. At that time we were beginning…it was the sit-in movements for the integration of the lunch counters—downtown Raleigh. With the kids, the hotheads we would leave on the campus, and you know, you’d say, “You go.” And I would just say, “Please, God, don’t let nobody spit on me.” And I know that nobody spit on me, but…I had an Angora sweater, I believe, on or something and, you know, they would put a match to that. But I don’t think that we experienced the violence that we’ve had in certain kinds of other cities. And maybe I have just been behind the scenes but wanted to see that other people do certain kinds of things—I like to push other folk. It was one of those things that I think that persons needed to step up to the plate and do. That’s something that everybody can do. I don’t think of myself as a hero. My approach is that you don’t ask persons to do no more than you’re gonna do yourself. We wanted to get things done, and we got things done. At 95 years old, Veasey remains an active member of local civic organizations, now spending much of her time volunteering with American Legion Post 157. She still lives in her hometown of Raleigh. Five decades ago, more than 200,000 people from all over the country gathered on the National Mall to call for racial and economic equality. Next week, participants will once again gather in Washington to mark the anniversary of the March on Washington, a pivotal moment in American history.